Join the Georgia Swarm for Fan Appreciation Night on Saturday, April 20 against the Philadelphia Wings. Faceoff is set for 7:05 p.m. at Harrah's Cherokee Casino Field. The Georgia Swarm Pro Lacrosse team is a member of the National Lacrosse League (NLL), which is North America's professional indoor lacrosse league featuring the best players in the world. In 2017, the Swarm became NLL World Champions after a historic 17-5 season and brought Atlanta its first professional world championship in 22 years. Join the Georgia Swarm for Fan Appreciation Night on Saturday, April 20 against the Philadelphia Wings. Faceoff is set for 7:05 p.m. at Harrah's Cherokee Casino Field. 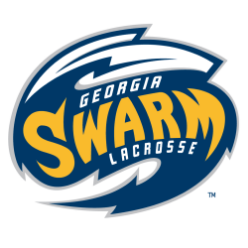 The Georgia Swarm Pro Lacrosse team is a member of the National Lacrosse League (NLL), which is North America's professional indoor lacrosse league featuring the best players in the world. In 2017, the Swarm became NLL World Champions after a historic 17-5 season and brought Atlanta its first professional world championship in 22 years.